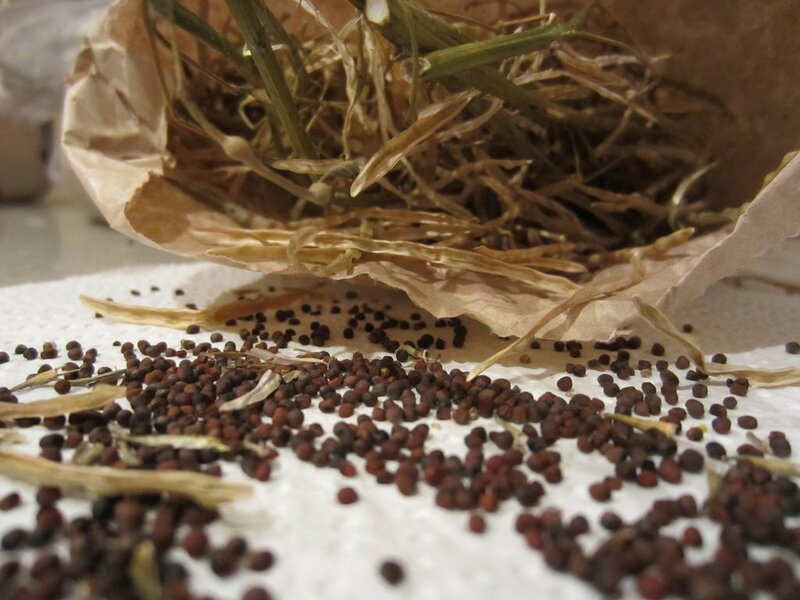 Following on from the How to Grow Broccoli post (which looked at the life-cycle of the broccoli plant, resulting produce, and return to the soil), this one is all about how to get the seeds from the mature plant, including how to dry and store those seeds for next season’s planting. 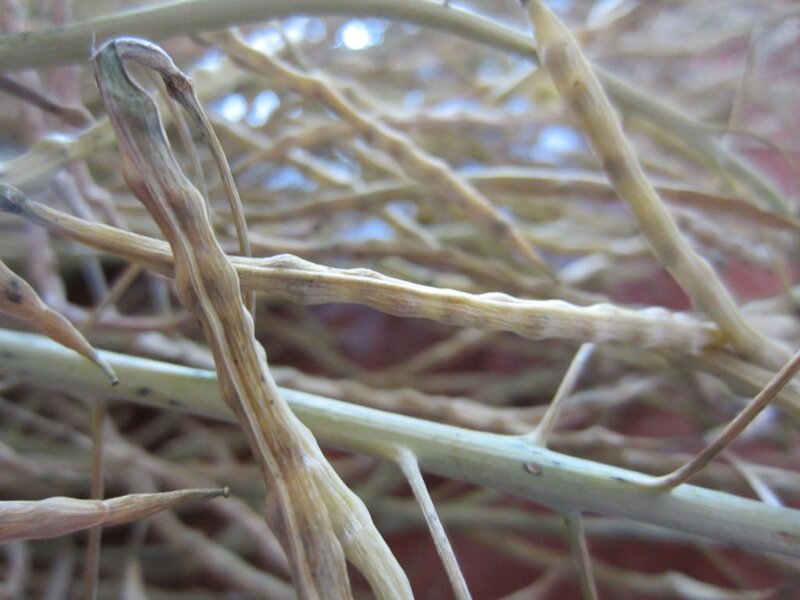 If left to its own devices, the broccoli plant will produce a large volume of seed pods. I will normally leave one plant in the ground just for this purpose – push it out of the way so other things can go into the ground. When the majority of the pods have dried up and turned brown, cut whole bunches off the plant. Leave them to dry further, then get the pods into paper bags. You will get from 8 to 10+ seeds per pod, and as can be seen in these photos, there are many, many pods. After a few weeks in a paper bag, seeds will spill out of the pods all by themselves. Store the bag in a cool dry spot. Tags: Broccoli, Dry, drying, How to, life-cycle, seed. Bookmark the permalink. Excellent knowledge provided by this article. I like it. Music to my ears! Happy to have helped and thank you for writing in. Growing broccoli right now so great advice. Great stuff Jass – please let me know how much food you end up with. This season I let one of our broccoli plants flower. I is still putting on beautiful yellow flowers. Patiently waiting for it to go to seed so I can collect them. Each year I am letting things go to seed to collect more and more of my own seeds. In a few years I won’t need to buy seeds or nursery plants for the veg garden. Great to have you on the site Emily. It sure helps when the plants we grow give us another chance to grow them! Am very keen to see how these Broccoli seeds do because will be the first time with these ones. Sorry 😦 – there is a ‘like’ button on the bottom of the article if that helps.